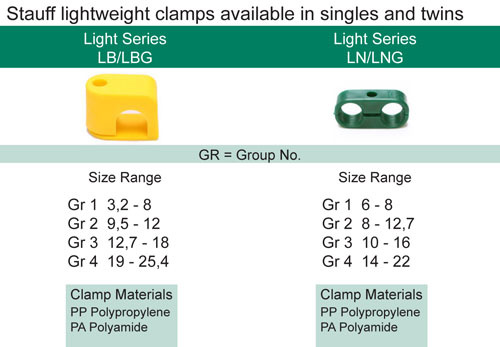 Do you need any guidance to help you choose an appropriate clamp or material for your application? 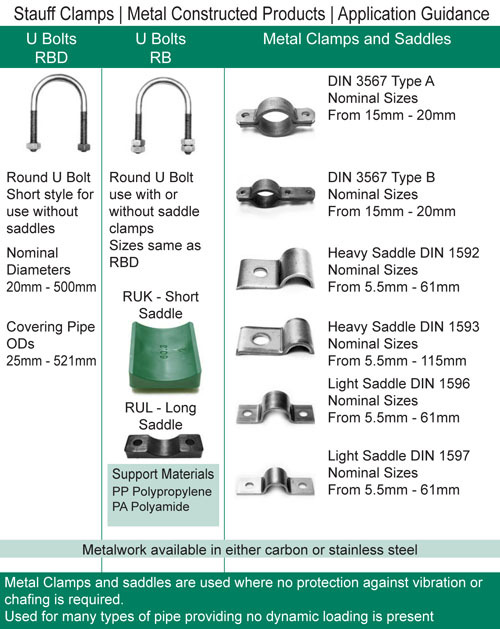 If so please use the overview tables below. 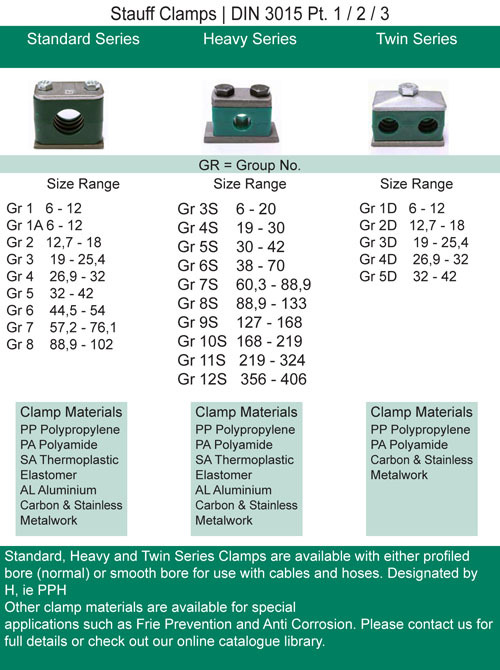 Standard, Heavy and Twin Series Clamps are available with either profiled or smooth bore.